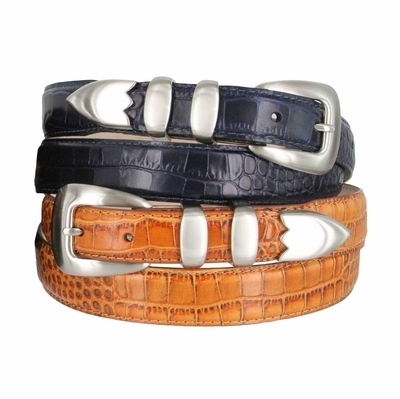 Silver Polished Buckle set on a Genuine Italian Alligator Embossed Calfskin Lined with Soft Genuine Cowhide Leather. The belt strap is 1 1/8" inches wide. Belts are measured from the fold to the center hole. Measure where you wear the belt in order to get the best size.